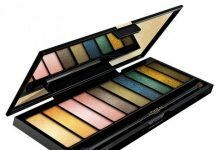 Hi everyone, today I am going to review my first eye palette from Colorbar named Colorbar Enchanting Trio Eye Shadow Palette 006 Seductively Nuede. Colorbar has launched enchanting trios some time back in five different shades – purple, green, turquoise, blue and this one is beige. I am not very fond of eye makeup and I normally apply single shade allover my lid. I was amazed to see such gorgeous trios from Colorbar and bought the nuede one about a year back. Packaging : It comes in a round pan with mirror finishing at the back. It has a transparent lid for easy identification of colors. 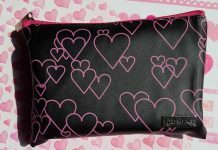 The packaging also contains a double sided sponge applicator. The packaging is sturdy, convenient and attractive. 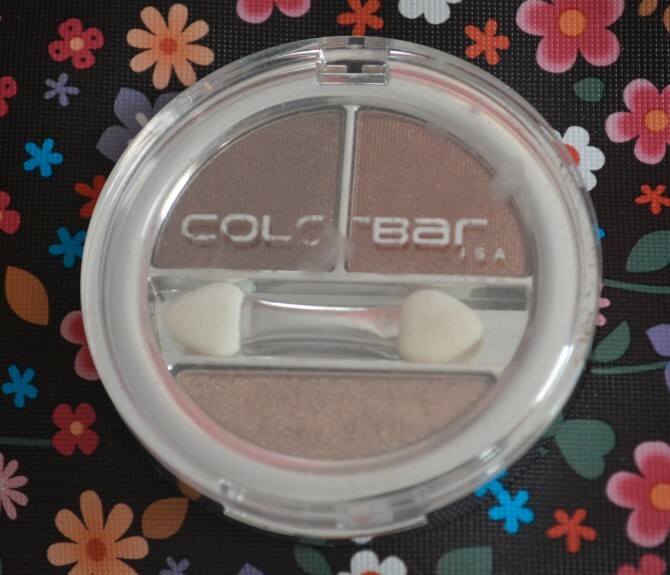 My Experience : In this Colorbar Enchanting Trio Eye Shadow Palette, two darker shades are placed side to side and the lighter eye shadow is placed at the bottom. 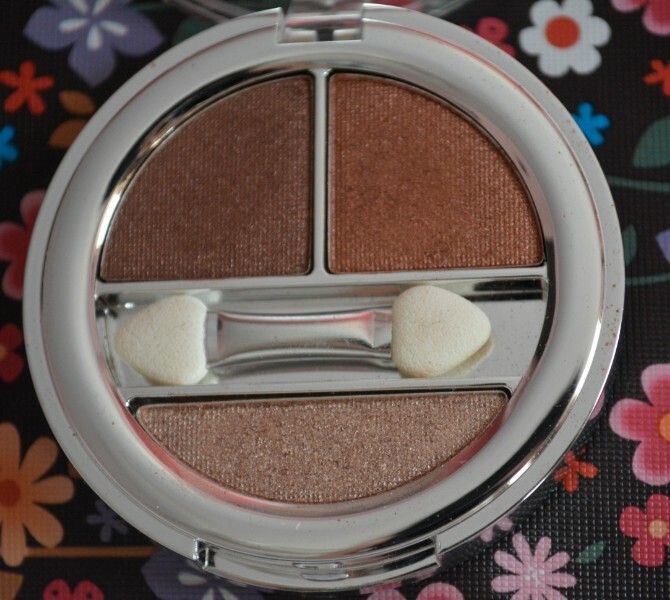 All the eye shadows have soft & smooth textures and have excellent color pay off. 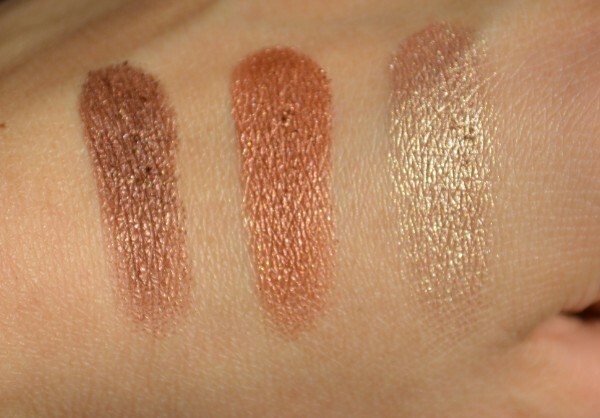 These eye shadows have pearly and metallic finish. 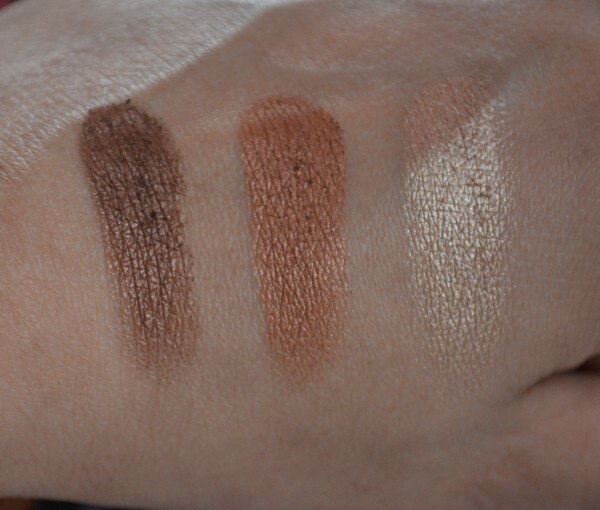 This neutral eye shadow trio contains three shade, right from the top is copper shade, next to it is deep brown shade and the last one is a lighter champagne shade. 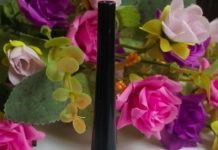 These eye shadows blend very well and there is no fall out during application. All the three shades are gorgeous and can be worn any time. The eye shadows are highly pigmented and contains tiny shimmer particles. They stay on my oily lids for 4-5 hours without creasing. These shades can be easily removed my cleansing milk or cleansing lotion. Claim : This mood to suit seductive palette creates mesmerizing eyes with out perfectly coordinated hues, allowing you to become your own make up artist. The light smooth texture of these eye shadows contain 3 beautiful shades for layering, highlighting and contouring. Available in a variety of finishes from metallic satin to slight shimmer for creating endless looks and to suit your mood. The palette comes with an applicator.